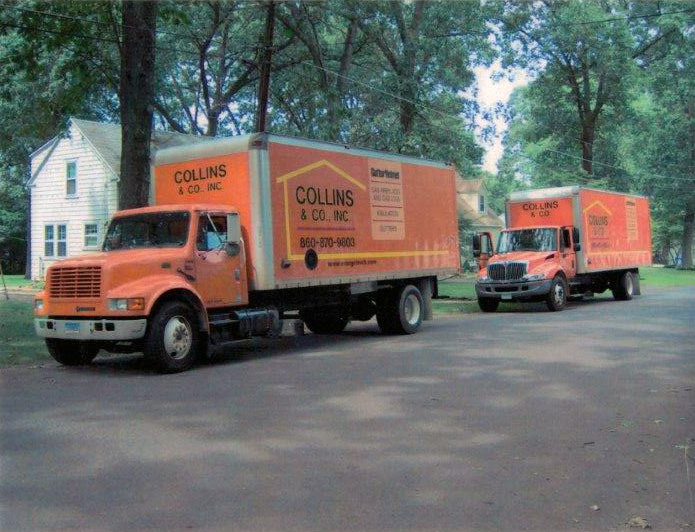 Collins & Co. has over 100,000 satisfied customers throughout Connecticut and Massachusetts. For over 70 years, our orange trucks have been a staple in local neighborhoods. We are an industry leader in the insulation field, while also providing and installing other building products such as seamless gutters, gutter protection, fireplaces, closet shelving and garage doors. The product you purchase is only as good as the company that installs it. That is why Collins & Co. is the right choice for you. 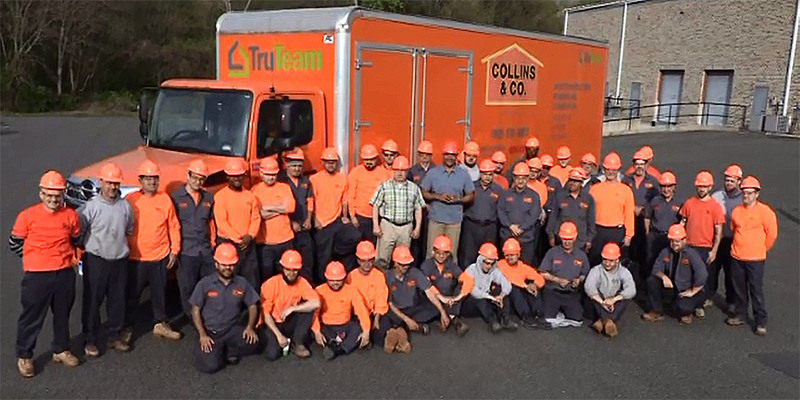 Once a small family business, today we are proud to be a part of TruTeam, the largest insulation and gutter company in the United States. Collins & Co. combines today's state of the art technology and building science with old time workmanship. The result is that your project is completed to your satisfaction, and optimum results are achieved. Our experienced team is highly trained and conscientious. We are also focused on doing your job safely and efficiently, with as little inconvenience as possible. Contact us today, and let us begin to put our over 70 years of experience to work for you. Collins & Co. was the first contractor in Connecticut to be certified by the National Association of Homebuilding Research Center (NAHB). The program certifies contractors only after they have successfully established a recognized quality system, effectively trained their employees, and passed a series of stringent criteria. "Collins & Co. passed all our qualifications and have shown an extreme concern for high quality every step of the way," explained Tom Kenney from the NAHB Research Center. "In so doing, they have been awarded certified contractor status from our organization." Collins & Co. is also a previous recipient of the NAHB Certified Contractor of the year award. This prestigious award recognized our professionalism and industry leadership among all of the certified contractors in the United States. Collins & Co. was chosen "because they continuously receive high marks in leadership and management of the program, satisfying customer needs, hiring and developing quality people, and actively promoting the program in their community," says Glen Singer, manager of customer programs at Certainteed.